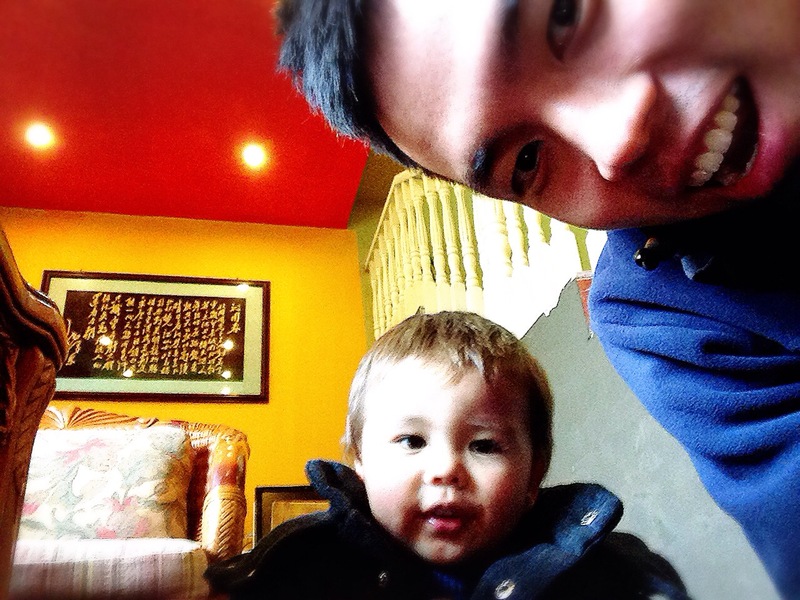 THE SMILING STAFF OF YANGSHUO MOUNTAIN RETREAT are always genuinely willing to help. 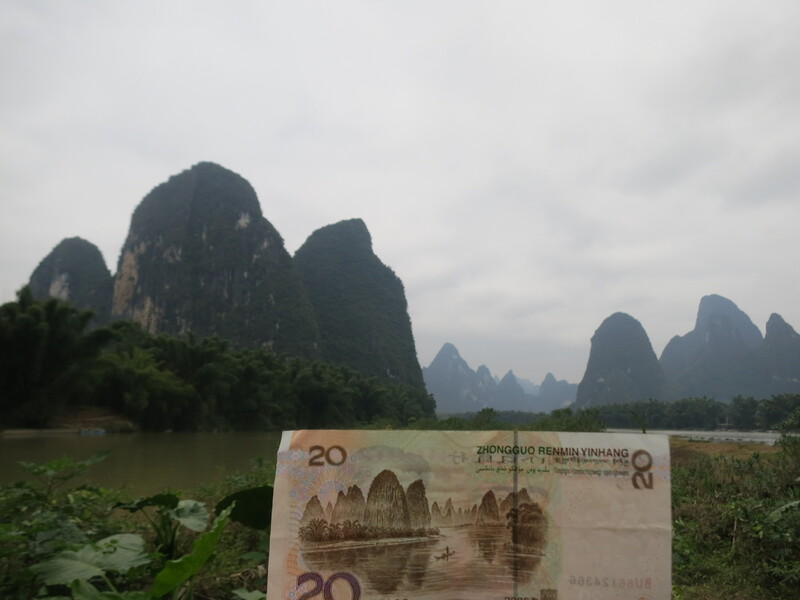 The guesthouse costs more than hotels found on West Street, it is not easy to travel by foot to any of the attractions, and there are no views of the Li River. However, the beauty of this guesthouse is its authentic countryside vibe, its quiet ambiance and most importantly, its hospitable staff that makes you feel at home. I’ve missed the Impression Liu Sanjie show two nights in a row due to the rain, and so I’m prepared to go river rafting at whatever cost. The rafters stopped their business because of the murky and somewhat turbulent waters. 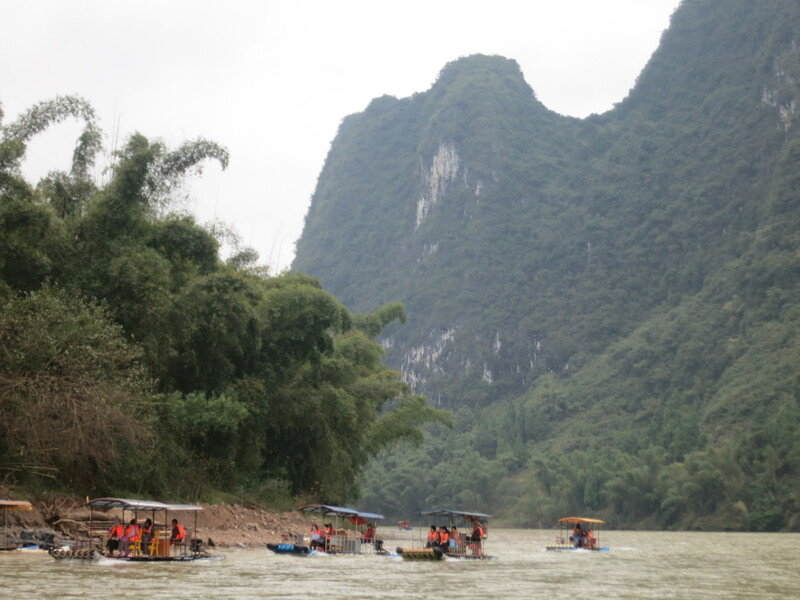 Fortunately, the staff helped contacted rafters in Xingping and they are back in business. Xingping is an hour away. This small town is getting more popular nowadays as a backpacker’s haven. The main attraction here is to board a bamboo raft, and float away on the Li River, taking in the amazing karst landscape. This being a must-do activity, you won’t find yourself at peace because there will be dozens of other tourist rafts around you. Nonetheless, it is where you can view the 20 dollar bill painting in person. 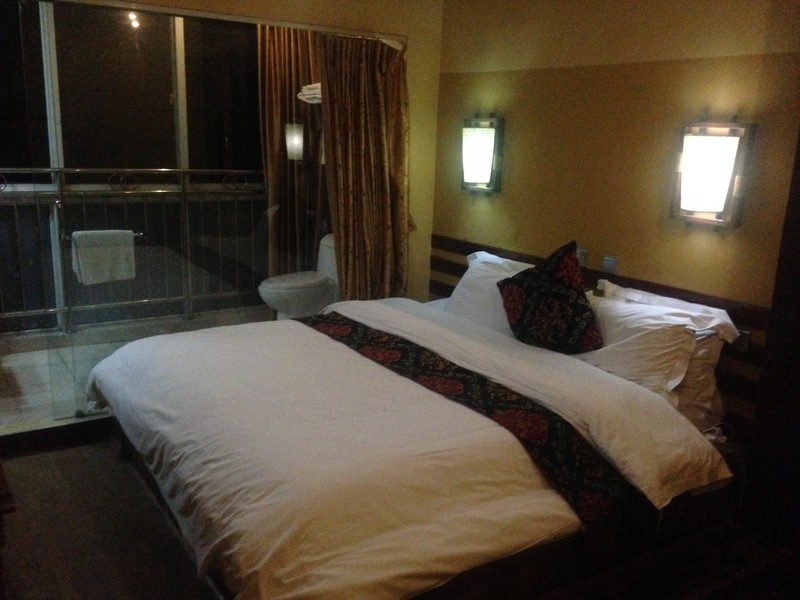 Cozy bed with electric warmer, spacious bathroom with a view of the mountains. 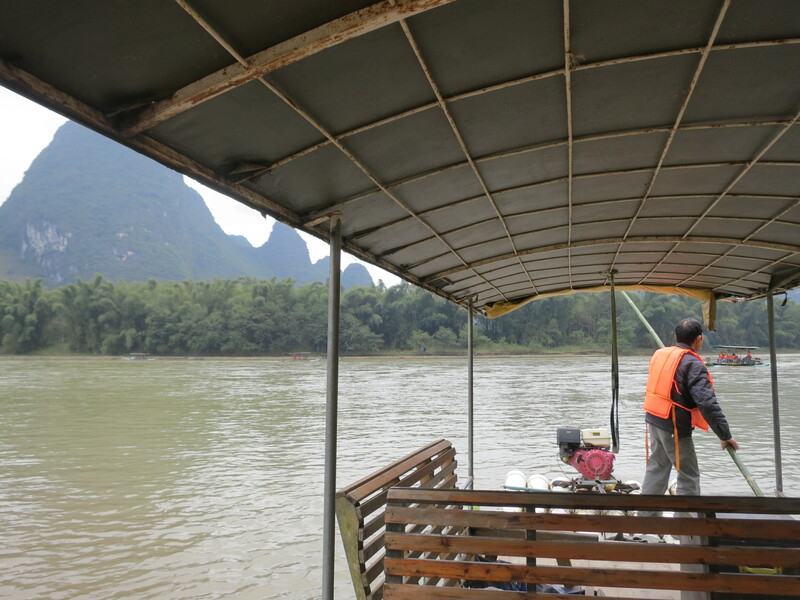 A motorized bamboo raft brings you near the karst hills on Li River.